Iolani Palace, one of a number of unique attractions in Hawaii. There’s more than just relaxing on the beach and eating exotic foods while vacationing in Hawaii. There’s a great variety of interesting and unusual activities in the Aloha State. Read the below to learn more about some of the most unique attractions in Hawaii. Hawaiian royalty once lived in Iolani Palace. It is the only royal palace you can find in America. As such, it may be one of the most unique attractions in Hawaii. King Kalakaua commissioned the building of Iolani Palace during the late 1880s. Queen Lilio’ukalani was the last resident of the palace. But, an American-led revolt forced her to abdicate her throne in 1893. 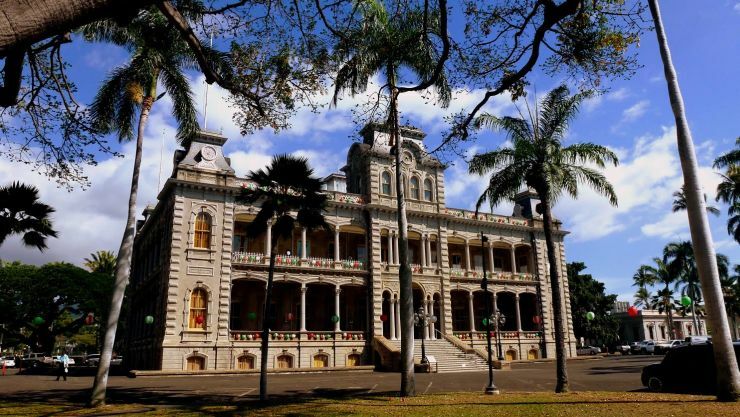 Later, Iolani Palace became the capitol for the provisional government, republic and the territorial and state legislatures. The palace in downtown Honolulu became a National Historic Landmark in 1962. The palace has undergone extensive restoration. The goal was to bring it back to how it might have looked during the days of the Hawaiian royalty. Since 1978, the palace has served as a museum opened to the public. Advanced reservations are recommended as only a limited amount of visitors are allowed each day. The visiting hours are from Mondays through Saturdays from 9 am to 4 pm. When visiting the Big Island of Hawaii, travelers expect to enjoy lush greenery. However, they may not be aware of a hard-to-find green gem on this island. To get there, you will have to travel on a solitary road to South Point. This is the southernmost tip of not only Hawaii, but of the entire US. Once you get to end of the paved road, head east. Then hike 2 ½ miles or pay for a private jeep ride to get to Papakolea Beach. 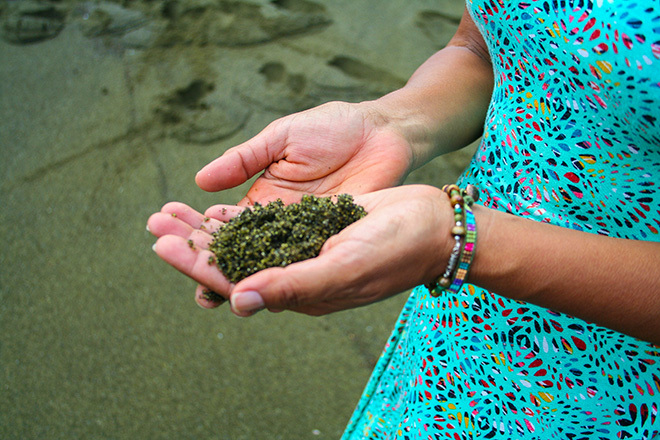 This is the only green sand beach in the United States and one of four such beaches in the world. The sand is green because it comes from a collapsed cinder cone full of the mineral olivine. Olivine is green in color. This is one of the more unique attractions in Hawaii for visitors willing to trek off the beaten path. 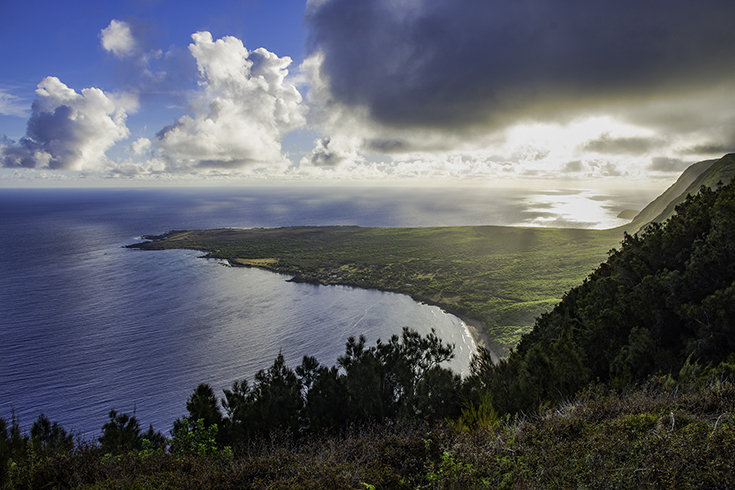 You can visit this solemn, isolated and historic National Park on the island of Molokai. But getting there can be a challenge. Most people get there by taking a breathtaking 3.5 mile mule ride down one of the steepest sea cliffs in the world. You can also get there by private air charter. You will need to get permission to visit the park, which you can obtain from the tour operators. Once you arrive, you can visit sites where the famed Catholic priest, Father Damien lived and worked. Here, Father Damien ministered to the thousands living here. In the 19th century, the government quarantined those with leprosy at this remote location. Father Damien continued to care for sufferers of the disease until he himself succumbed to it. For his numerous selfless deeds and sacrifice, the Catholic Church canonized him as a saint in 2009. Today, leprosy or Hansen’s disease has been cured and is no longer the dreaded contagion that maimed or killed millions throughout history. Visitors to Kalaupapa should be respectful of the few remaining residents who still live in this lonely, but peaceful, place. When you think of Dole, you will most likely imagine pineapples and bananas, not a massive maze. 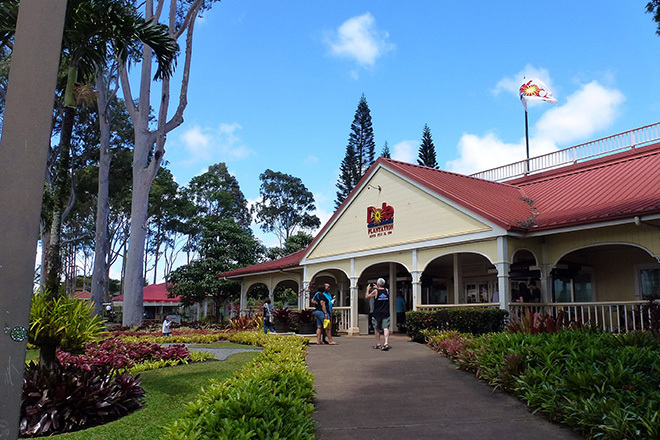 But that is what the Dole Plantation offers right outside Wahiawa in central Oahu. The maze is the world’s largest. So it’s sure to be one of the more unique attractions in Hawaii. It offers a fun way to spend with family or friends. Here, you can walk through greenery while trying to find your way out. If you’re one the fastest to finish, the company will record your name at the entrance of the maze. In addition to the maze, visitors can enjoy pineapple related drinks, snacks and desserts and shop for souvenirs. You can also view a wide range of pineapple varieties grown in Hawaii in the garden area. There are even train rides with views of the facilities and surrounding fields.